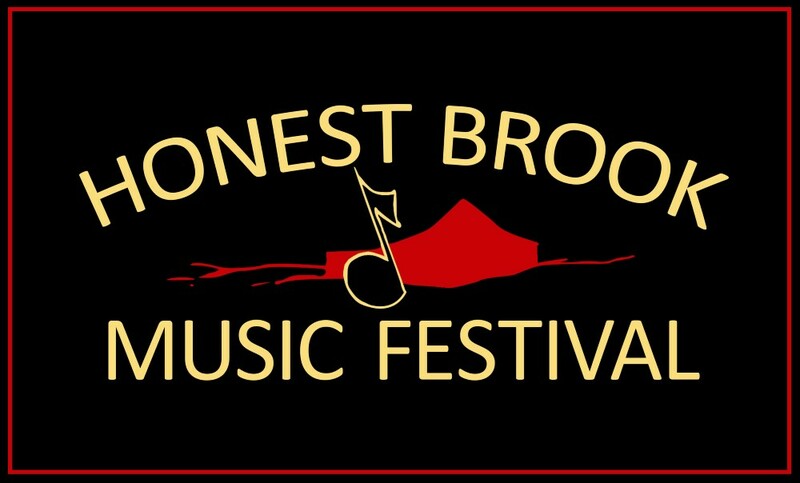 The Jasper String Quartet makes its second HBMF appearance this summer. Formed at Oberlin Conservatory, the Jasper began pursuing a professional career in 2006 while studying with James Dunham, Norman Fischer, and Kenneth Goldsmith as Rice University’s Graduate Quartet-in-Residence. The quartet continued its training with the Tokyo String Quartet as Yale University’s Graduate-in-Residence. Winners of the prestigious CMA Cleveland Quartet Award, Philadelphia’s Jasper String Quartet is the Professional Quartet in Residence at Temple University’s Center for Gifted Young Musicians. Consisting of violinists J. Freivogel — brother of Meg and Liz (of the Jupiter String Quartet) — and Sae Chonabayashi, violist Sam Quintel, and cellist Rachel Henderson Freivogel — wife of first violinist J. — Jasper records exclusively for Sono Luminus and has released three highly acclaimed albums – Beethoven Op. 131; The Kernis Project: Schubert; and The Kernis Project: Beethoven. The Jasper swept through the competition circuit, winning grand or first prizes in several, including the Plowman Chamber and the Coleman competitions, Chamber Music Yellow Springs, and the Silver Medal at the Fischoff Chamber Music Competition. They were also the first ensemble honored with Yale School of Music’s Horatio Parker Memorial Prize. After winning their national auditions, they joined the roster of Astral Artists. Pianist-composer Michael Brown has been described as “one of the most refined of all pianist-composers” (International Piano) and “one of the leading figures in the current renaissance of performer-composers” (The New York Times). His unique artistry is reflected in his creative approach to programming, which often interweaves the classics and his own compositions. Winner of the 2018 Emerging Artist Award from Lincoln Center and a 2015 Avery Fisher Career Grant, Brown has recently performed as soloist with the Seattle Symphony, the National Philharmonic, and the Grand Rapids, North Carolina, Maryland and Albany Symphonies; and recitals at Carnegie Hall, Caramoor, the Smithsonian, and the Gilmore Festival. Mr. Brown is an artist of the Chamber Music Society of Lincoln Center, performing frequently at Alice Tully Hall and on tour, and is a former member of CMS Two. He regularly performs recitals with his longtime duo partner, cellist Nicholas Canellakis, and has appeared at numerous festivals including Tanglewood, Marlboro, Music@Menlo, Ravinia, Saratoga, Bridgehampton, Bard, Sedona, Moab, and Tippet Rise. Mr. Brown was First Prize winner of the Concert Artists Guild Competition, a recipient of the Juilliard Petschek Award, and is a Steinway Artist. He earned dual bachelor’s and master’s degrees in piano and composition from The Juilliard School, where he studied with pianists Jerome Lowenthal and Robert McDonald and composers Samuel Adler and Robert Beaser. Additional mentors have included András Schiff and Richard Goode as well as his early teachers, Herbert Rothgarber and Adam Kent. A native New Yorker, he lives there with his two 19th century Steinway D’s, Octavia and Daria. This will be baritone Thomas Meglioranza’s second HBMF appearance with Reiko Uchida, pianist. Their first performance two years ago, performing Schubert’s “Winterreise” song cycle, with English sur-titles, was a huge success with one of the largest audiences in the Barn in recent memory. This year they will perform, among other works, Schubert’s song cylce “Die Schöne Müllerin” with English sur-titles. Mr. Meglioranza has performed extensively with many of America’s leading orchestras, including Lincoln Center’s Mostly Mozart Festival, the National Symphony, the Los Angeles Philharmonic, the Boston Symphony, the MET Chamber Ensemble, the Houston Symphony, and the Orpheus Chamber Orchestra. The New Yorker magazine described Meglioranza as an “immaculate and inventive recitalist” and The Philadelphia Inquirer named his Songs from the WWI Era program as one of the “Top Ten Best Classical Performances of the Year.” His operatic roles include Fritz in Korngold’s Die Tote Stadt, the lead in Mozart’s Don Giovanni and Count Almaviva in The Marriage of Figaro, as well as Chou En-lai in Adams’s Nixon in China and Prior Walter in Peter Eötvös’s Angels in America. Meglioranza’s discography includes three acclaimed albums of Schubert lieder and French melodies accompanied by Reiko Uchida, songs of Virgil Thompson with the Boston Modern Orchestra Project, and Bach cantatas with the Taverner Consort. A native New Yorker, Meglioranza graduated from Grinnell College and the Eastman School of Music. He is a Visiting Artist in Voice at the Longy School of Music of Bard College. Reiko Uchida is recognized as one of the finest pianists on the classical music scene today. She has appeared as a soloist with numerous orchestras, including the Los Angeles Philharmonic, the Orchestra of the Curtis Institute, and the Santa Fe Symphony, among others. She made her New York solo debut in 2001 at Carnegie’s Weill Hall and has since performed solo and chamber music concerts throughout the United States, Japan, France, Italy, Germany, Russia, Finland, Bulgaria, and the Czech Republic. She has performed at Avery Fisher Hall, Alice Tully Hall, the 92nd Street Y, the Metropolitan Museum of Art, the Kennedy Center, and the White House. She has been a recital partner for violinist Jennifer Koh, clarinetist David Shifrin, and familiar Honest Brook festival artists violinist Jaime Laredo and cellist Sharon Robinson, with whom she performed the complete works of Beethoven for cello and piano. A native of California, Uchida is a graduate of the Curtis Institute of Music, where she studied with Claude Frank and Leon Fleisher. She holds a Master’s degree from the Mannes College of Music, and an Artist Diploma from Juilliard. A resident of New York, she is an associate faculty member at Columbia University. Violinist Randall Goosby first performed as soloist with orchestra at the age of nine, with the Jacksonville Symphony and performed with the New York Philharmonic on a Young People’s Concert at Avery Fisher Hall at the age of thirteen, The New York Times raved that he “exerted a masterly level of control and lavished an exquisite tone…his performance won him a deserved standing ovation for its sheer virtuosity.” Upcoming appearances include the Bach Double Concerto with Itzhak Perlman and the Grand Rapids Symphony Orchestra, and he has previously performed as soloist with The Cleveland Orchestra, the Buffalo, Rochester and Orlando Philharmonics, and the symphonies of Nashville, Memphis, Grand Rapids, Albany (GA), Adelphi (NY), Arkansas, Modesto, South Bend and New World. In addition to formal concerts, Mr. Goosby shares his love of music in outreach programs for public schools, children’s hospitals and music programs across the country. He is currently on faculty at Opportunity Music Project, a nonprofit organization which provides free lessons, instruments and mentoring for children from low-income families in New York City, and gives performances through Concerts in Motion, another NYC-based nonprofit which provides private house concerts for elderly and otherwise homebound patrons. Mr. Goosby won First Prize in the 2018 Young Concert Artists International Auditions as well as the Buffalo Chamber Music Society Prize, Chamber Orchestra of the Triangle Prize, Harriman-Jewell Series Prize, Vancouver Society Prize, The LP Classics, Inc. Debut Recording Prize and the Sander Buchman Prize, which provides major support for his New York debut. Mr. Goosby began violin studies at the age of seven. He received a full scholarship to The Juilliard School’s Pre-College program, continued at Juilliard as an undergraduate student of Itzhak Perlman and Catherine Cho, and is currently pursuing a Master’s Degree there on a Kovner Fellowship there under the tutelage of two YCA alumni, Donald Weilerstein and Laurie Smukler. Mr. Goosby plays a Giuseppe Guarneri del Gesu of 1735, on generous loan by the Stradivari Society.